A cup of tea is a wonderful thing to share, but it’s perfect as a solo drink too. 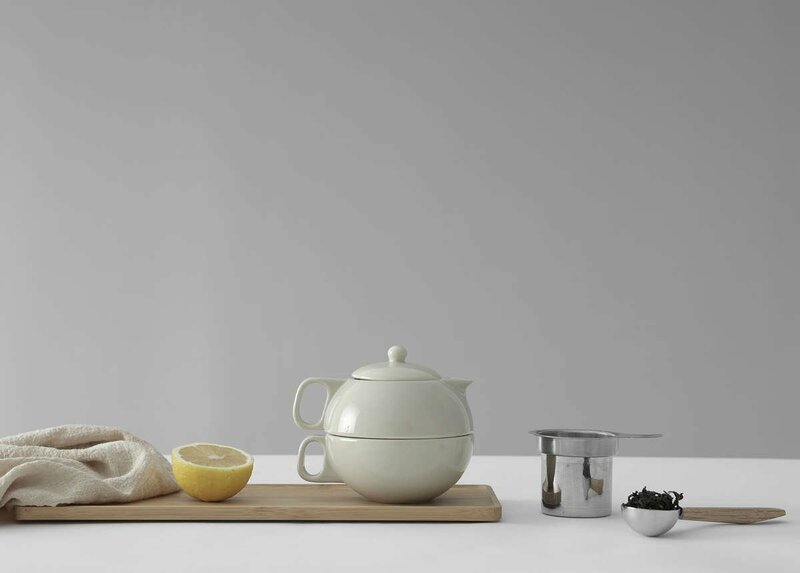 Escape the day to enjoy solitary cups of tea with the white Jaimi set. 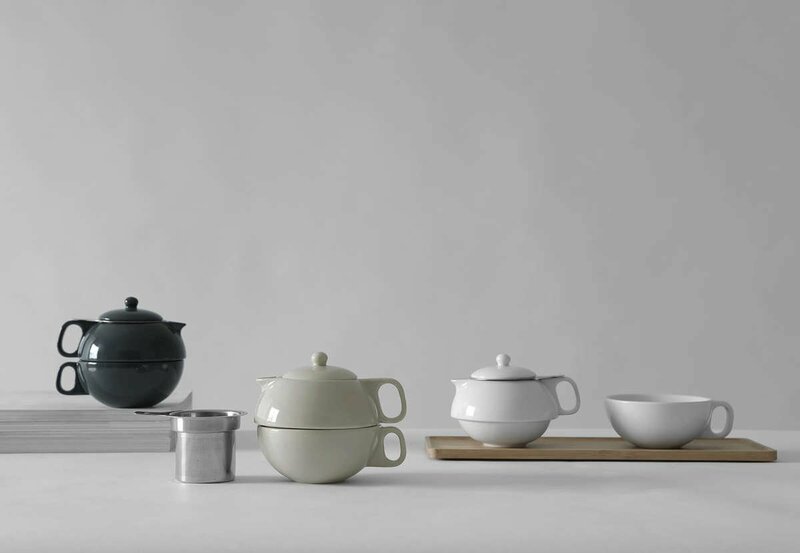 Consisting of a teapot, cup and infuser that are designed to fit together, the Jaimi is made just for you. Size: L: 13.0 cm - W: 10.8 cm - H: 12.0 cm - Vol: 0.3 & 0.25 L / 10.0 & 8.0 fl. oz. When days are chaotic and full of faces, both familiar and unfamiliar, you can often need an escape. Everyone needs a breather. A little break from the world where it’s just you. And only you. We need these times to recharge our batteries so we can continue venturing out into the world and achieving our goals. When you need that time alone, the only friend you might allow into your sacred solo space is a cup of your favourite tea. Before, this was probably made with a teabag or an infuser of some kind because a whole pot of tea was likely much too big for you. Now it doesn’t have to be. 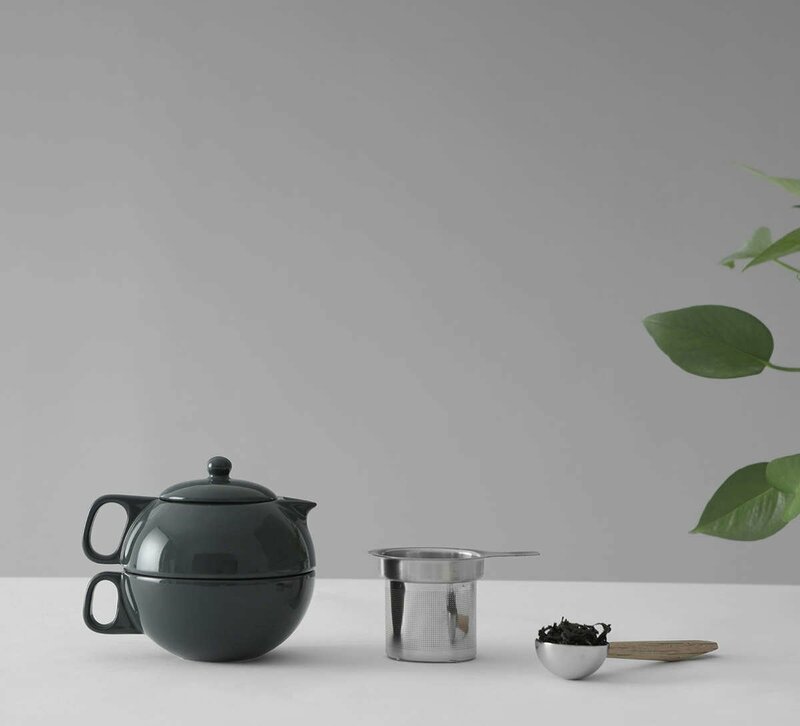 Now you can indulge in the comfort of brewing a pot with the Jaimi tea set. 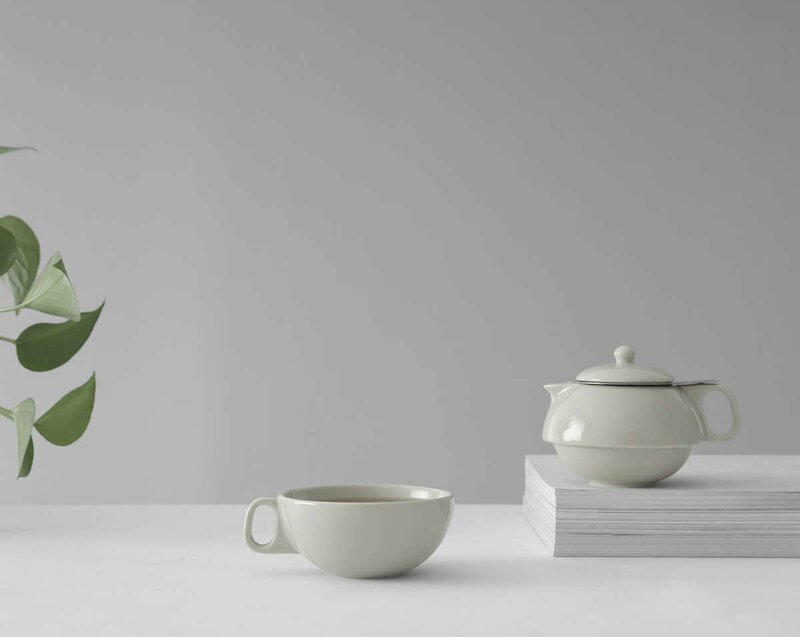 This porcelain set is made for solo drinkers. The cup and pot are perfectly designed to fit together so you easily save space in your kitchen cupboards. It’s removable infuser means your tea can turn into utter perfection while also being a total breeze to clean. 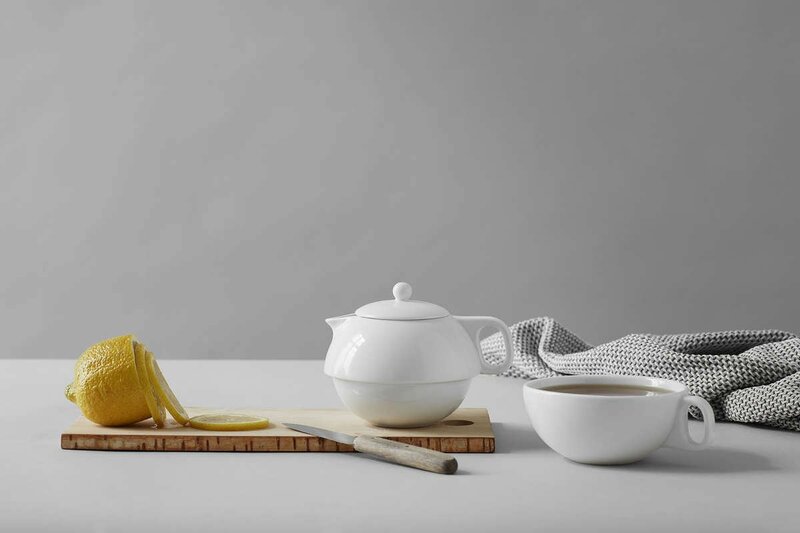 This teapot is the reliable friend you’ll love coming home to. Let the worries of your day drift away as you spend some quality time with yourself. And Jaimi, of course. Can I use tea bags with the teapot or is it just for loose leaf tea? Does the handle of the teapot get hot? This sweet little Jaimi is a 300 ml capacity teapot. This will make two smaller cups or one giant one. What is the best way to clean this teapot and cup set?